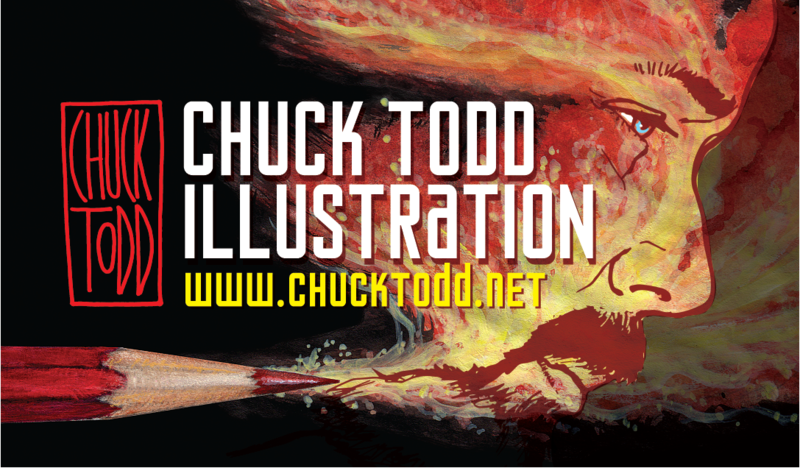 Chuck Todd is an award-winning illustrator and visual journalist. My illustration work has appeared in newspapers, journals, posters, annual reports and children’s books. My books with author Gary Bogue include “The Raccoon Next Door: Getting Along with Urban Wildlife” and “There’s an Opossum in My Backyard” and “There’s a Hummingbird in My Backyard” published by HeyDay Books. My artwork has been exhibited in the Midwest, the San Francisco Society of Illustrators and a solo exhibit “Windows to Wildlife” at the Lindsay Wildlife Museum. In addition to freelance, I have taught at The Academy of Art University in San Francisco. I’ve been a visual journalist since 1989 and am currently the Presentation Editor (Design and Graphics) for Bay Area News Group – East Bay which includes the Contra Costa Times and Oakland Tribune Newspapers. Go to http://www.chucktodd.net for more artwork and info about Chuck’s artwork.